The Volkswagen of Milwaukee North dealer near Greenfield, WI, is your top source for great deals on new, used and certified pre-owned (CPO) Volkswagen cars and SUVs for sale near you. Plus, don’t forget to drop by our Certified Volkswagen Service Center & Parts Department near Greenfield WI. We take pride in handling all your local maintenance and repair needs. 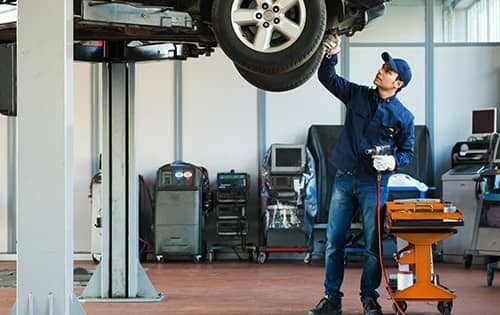 All services, including our popular Volkswagen oil changes, tire rotations, brake checks, alignments, battery replacements and more, are provided by ASE Certified Volkswagen mechanics. Our service center happily takes almost all makes and models. From May through October, Konkel Park hosts the Greenfield Farmers Market each Sunday, and this is a perfect way to summarize the town. Dedicated to farming, local produce and a sense of community, Greenfield is a member of the rejuvenation of the American lifestyle initiative. The Healthiest Greenfield 2022 Community Health Improvement Plan (CHIP) is a strategic outline to be not just a part of, but a leader in the nationwide wellbeing drive. Konkel is one of more than a dozen parks available to residents and visitors. Part of the Milwaukee metropolitan area, the population sits at around 40,000, while constantly trying to stave off the outward growth of greater Milwaukee. Organizations such as the Greenfield Historical Society and the Greenfield Beautification Committee exemplify the city’s attention to its own culture and heritage. The area supports the auto industry in the form of dealerships for all the large companies, while the local used-car dealers tend to foster negative reviews. Why Choose the Volkswagen of Milwaukee North Dealer Near Greenfield WI? 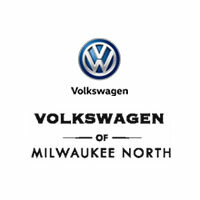 Volkswagen of Milwaukee North invites you to our VW dealership near Greenfield, WI. We offer great Volkswagen incentives, rebates, offers and lease deals on new, used and certified pre-owned Volkswagen cars and SUVs near Greenfield. The deal you’ve been waiting for is just a phone call away. We are conveniently located near the intersection of I-57 & Silver Springs Dr. Just 20 minutes away from Greenfield, WI. Milwaukee Volkswagen North is well-known for the quality of our Volkswagen cars and SUVs for sale in the Greenfield, WI area. Time and time again, customers choose us for our fantastic selection, competitive pricing, and quality of customer care and service. You’ll love the easy access to our new & used vehicle inventory online, as well as our team of friendly, knowledgeable team members. Whether helping you to find the best Volkswagen lease deal near Greenfield, the right factory rebate, or any available incentives, they are happy to help. We believe that car buying doesn’t have to be a stressful experience. Come discover the best Volkswagen deal for you near Greenfield, WI. Schedule your Greenfield Volkswagen service online, or call us to make an appointment at your earliest convenience. Your search for the best new car special offers and Volkswagen lease deals near Greenfield is over. Once you’ve found the perfect vehicle, our Volkswagen finance specialists will help get you the best auto loan or lease deal in the Greenfield WI area. Contact us today, and make sure you ask about our current Volkswagen finance offers, special, and incentives.